With the modern advancements in technology, most people today are investing in flat screen televisions. What do you do with the humongous, outdated tube television and other e-waste taking up space in your garage, that you can’t even fit in the backseat of your car? TV removal is no problem for our junk removal crew. We won’t just toss it into a heap at the dump; we’ll either donate working televisions to charity groups or take it in to be broken down for electronic recycling. 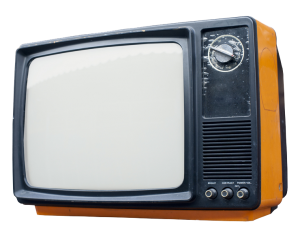 Did you know that disposing an old television can be hazardous to your health and to the environment? TVs that are thrown into landfills can leak chemicals into the air and the ground which can contaminate groundwater and cause air pollution. TV recycling prevents unnecessary environmental damage from being done. The process of TV recycling breaks down television sets into various materials for plastic recycling, glass recycling, copper and other metal recycling. Do you recycle old electronics? Here’s some reasons why we believe electronic recycling is important. Improper disposal of e-waste or electronics is harmful to the environment. Dumping large e-waste like TVs and stereos into landfills takes up space in today’s growing mountains of junk that keep piling higher every day. Old television screens can be turned into glass recycling. You can recycle almost every piece and part of a computer. In the United States, over 100,000 computers are thrown out every day. These computers could be used for plastic recycling, metal recycling, and glass recycling. You can recycle glass an unlimited number of times and it will still be just as useful. If you recycle one ton of glass you will end up saving a TON of resources, literally. You save over 1,200 pounds of sand, over 430 pounds of soda ash and limestone and over 150 pounds of feldspar. 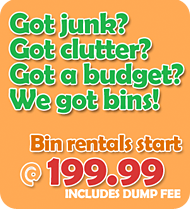 We have both Self Service Junk Removal and Full Service E-waste Removal Services.